When Should I Use RANDOM Vibration Testing? When preparing to run a vibration test, a test engineer is faced with the question of what kind of test should be run with any particular set-up. One option is a RANDOM vibration test. A RANDOM vibration test is a test that simultaneously sends random vibrations that over time include the entire vibration test’s frequency range. For example, consider Figure 1, in which a test profile is displayed that tests an item from 50 Hz to 4000 Hz. In Figure 2, the acceleration waveform for that test is displayed. The display shows a “ragged” plot, in which random amplitude vibrations are being used to test the DUT (Device Under Test). Figure 1: A RANDOM test profile from 50 to 4000 Hz. 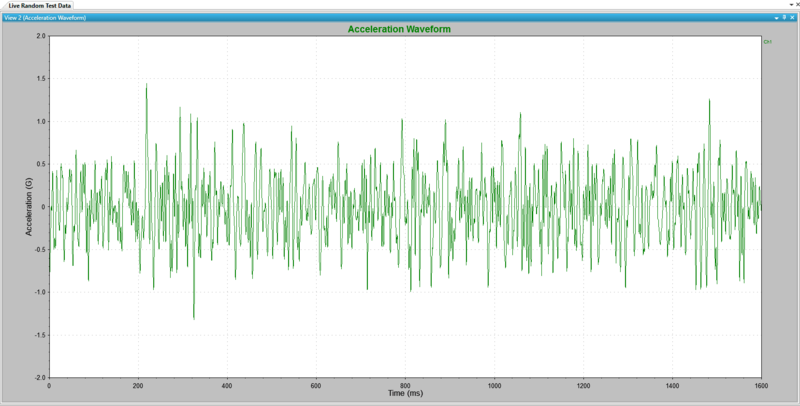 Figure 2: The acceleration waveform for a RANDOM vibration test. 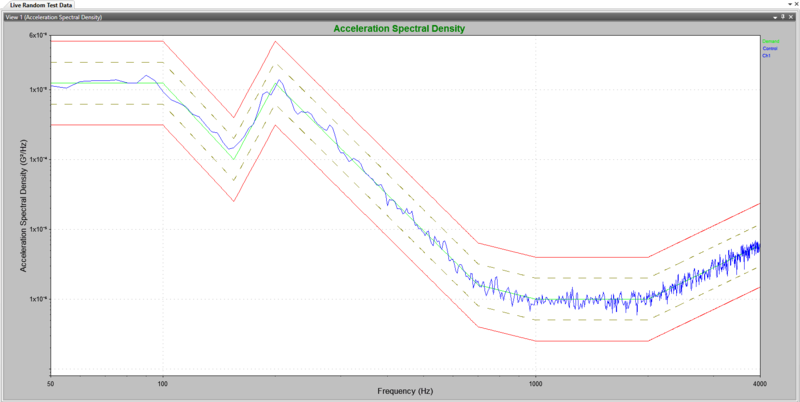 Note the random amplitudes of the accelerations experienced by the DUT. Why Should I Use RANDOM? The “real-world” is less synthetic than a single sine wave. Exciting all the frequencies makes a random test a more realistic representation of what occurs in the “real-world”. A random test can be accelerated to create a test representative of a longer field life than may be practically run in a lab. A DUT may have multiple resonances. Sine testing can only test one resonance at a time and cannot test the interactions of multiple resonances. By exciting all resonances at the same time, random vibration gets a glimpse of the interaction between these multiple resonances. When Should I Use RANDOM? Looking to test a product for “real-life” vibrations. Looking to see how a product will respond to multiple resonances being excited at the same time. Testing a product to failure. Bringing the product to failure using a sine-track-and-dwell at one frequency ignores how vibrations at other frequencies affect the failure rate. Random vibration testing will result in a faster failure mode since all frequencies in the test profile are tested simultaneously. As the innovator in vibration control, Vibration Research wants to help your company run more efficient and effective vibration tests.